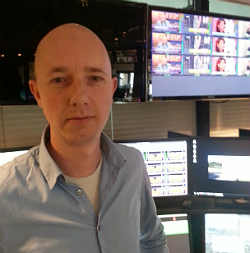 RTL Nieuws relies on SNG trucks for live news delivery. Hilversum, April 2014: RTL Nieuws in the Netherlands has experimented with a variety of new cellular technologies for transmitting live video reports from the field but it has decided for now to stick with the traditional SNG truck because it’s the most dependable. The broadcaster has had several companies demonstrate their cellular bonding products at the RTL Nieuws headquarters in Hilversum. But none of the demonstrations has been sufficiently persuasive in order for RTL Nieuws to invest. RTL Nieuws has also been investigating whether to use Ka-band satellite transmissions but has yet to adopt the system. One of the news production companies it employs had purchased a Ka-band transmitter and had asked RTL Nieuws to invest in a server to be housed in the mcr. Hans said the broadcaster is following developments in the Ka industry but it was unlikely to invest in the large antenna required for receiving signals. 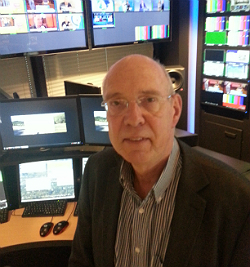 For transmitting Store & Forward reports RTL Nieuws’ journalists have been using software supplied by Livewire installed on a laptop which has been very successful. They also use Livewire for the occasional live feed using a BGAN terminal.